Sheds, decks, swimming pools, concrete patios and more! 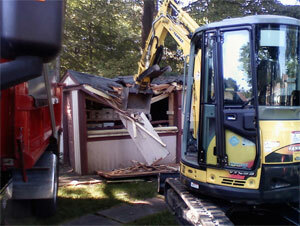 Since 2008, NH has transitioned our services to focus on demolition and pool removals. With the change in our services we continue to complete each job with the up most integrity. 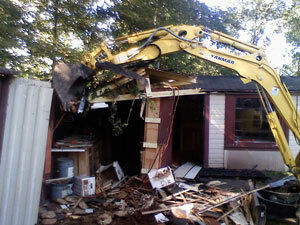 Whether we need to remove and old barn or dilapidated garage, to tearing down a deck, removing an old shed that has become a hazard, or reclaiming your backyard from that money pit of a pool you have, we have the right equipment and knowledge to ensure a satisfactory demolition in Bristol CT. 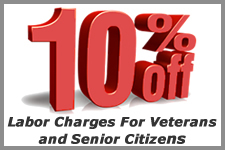 Neighborhood Services, LLC proudly serves all of Connecticut since 2000. We continue to grow as a company but remain a small, locally-owned-and-operated business dedicated to achieving complete customer satisfaction. We’ll give your project – large or small – the attention it deserves! We’re a Class B demolition contractor that is fully licensed and insured in the State of Connecticut. We work with our customers every step of the way to ensure the job gets done to their satisfaction. Get accurate, efficient, affordable, and safe demolition services from your local source of residential demo, Neighborhood Services, LLC! 1. The size of the project – the bigger the project the more it will probably cost. A bigger garage is tougher to take down, and costs more to haul away all the debris. 2. Complexity of the project – Not every demolition project is created equal. Attached garages typically cost more to demolish than detached garages simply because of the care taken to avoid damaging the main structure. The material the garage, shed or barn is made out of. A basic stick-built garage or shed would cost less compared to one reinforced with concrete, stone or metal. If you want to salvage some of the building materials like the windows or doors, that can increase the final cost. TIP: You can earn a tax credit by donating salvageable items (used furniture, appliances, home accessories, building materials, etc.) to a place like Habitat for Humanity’s ReStore. 3. Debris Removal – Usually a dumpster is used to dispose of the accumulated debris. The dumpster size needed for the project will determine the the cost disposal. 4. Accessibility to Structure – If the barn or shed is difficult to get at with heavy equipment and has to be demolished with smaller equipment or by hand the cost could increase significantly. In general the longer the project takes the more costly it becomes.